As stated Ti Aquatimer on Ti bracelet also comes with rubber strap. 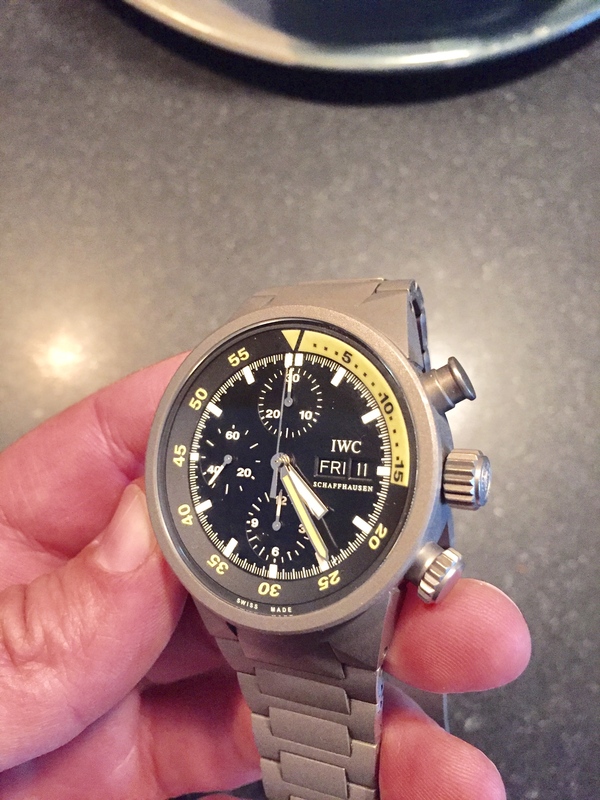 Purchased in 2013 from Govberg and serviced in 2016 by IWC. Runs as it should and rated conservatively TZ excellent. No original box or papers, but will come with the service box/travel case, papers from the original sale, and brass bracelet tools. Price is $3200 plus shipping. Definitely open to trades especially IWC Worldtimer, Omega Speedmaster, Tudor Pelagos Black with in-house movement. Bradwkelly@yahoo.com for more pictures or information.